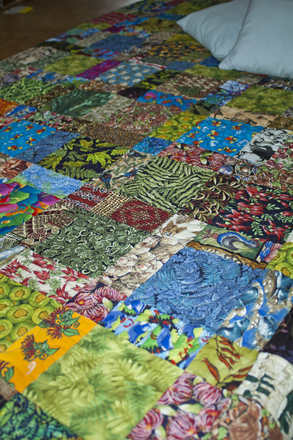 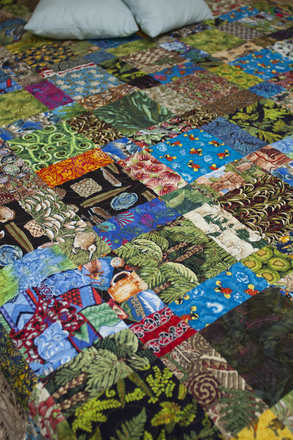 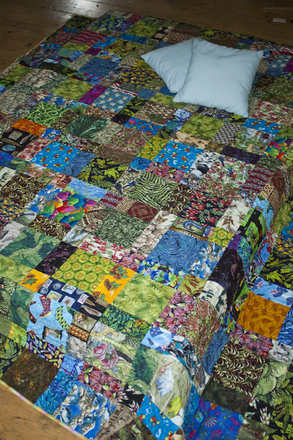 As I have updated the home page with some photos of my work I also thought it would be a good idea to post the quilts that live at my house. 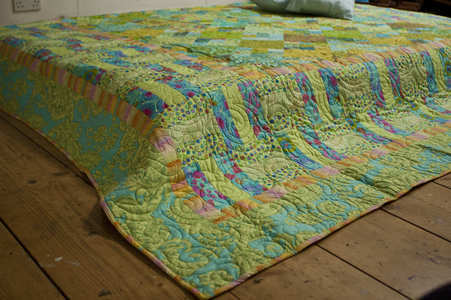 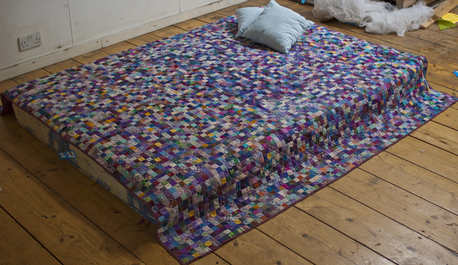 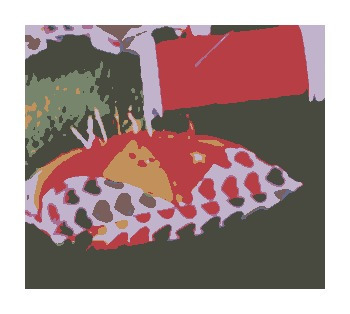 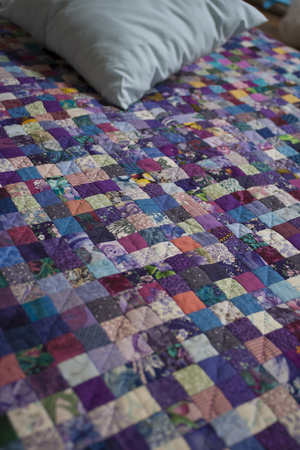 My mum introduced me to patchwork and quilting and in the last few years has made quite a few of the quilts that we have; the most recent being the double-sided wedding quilt for our wedding last year - we have not yet used it as the skylight above our bed loses rust and drips condensation. 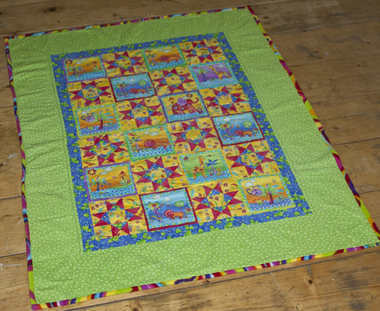 Mum has also made quilts for the boys - the first one for J when he was a baby and then one for each of the boys for their first birthday - J has his on his bed but A's is still hanging on the wall downstairs where we had it for our wedding - now it is colder he will also have it on his bed. 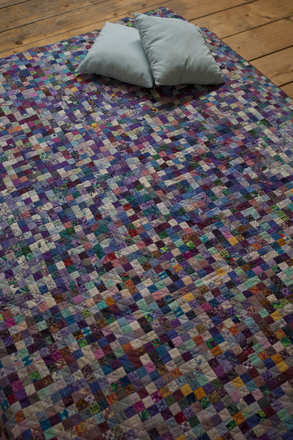 L also sleeps under the baby quilt. 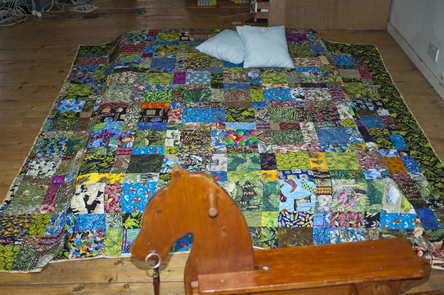 Al's sister also made J a quilt when he was a baby and it also gets used on L's bed at the moment. 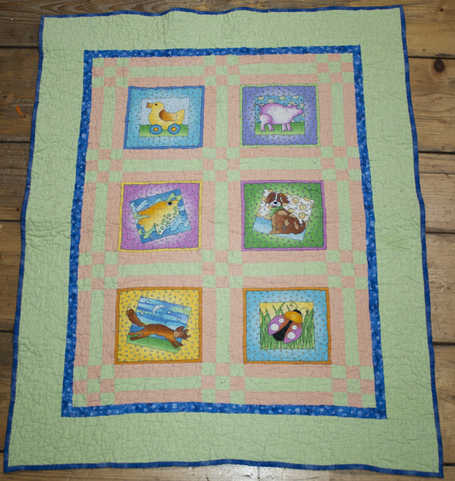 Al's mum also made quilts and we have one of her wall-hangings on the wall. 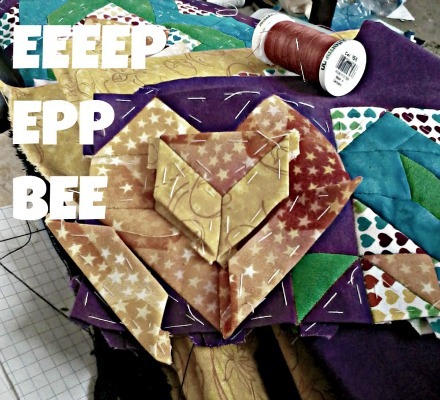 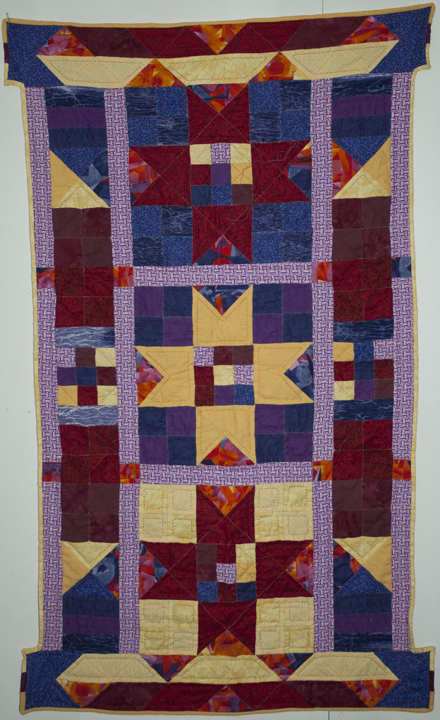 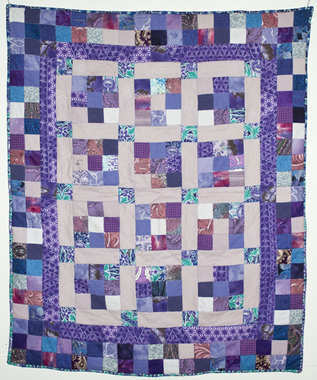 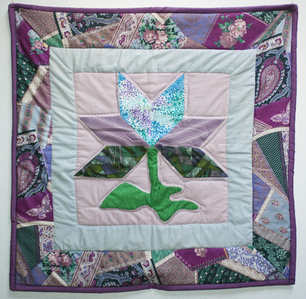 My Granny made a lot of quilts and when she died I was left the purple quilt which includes many fabrics that I used in my 6 x 6 foot quilt. 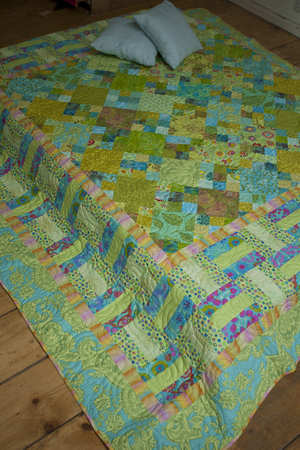 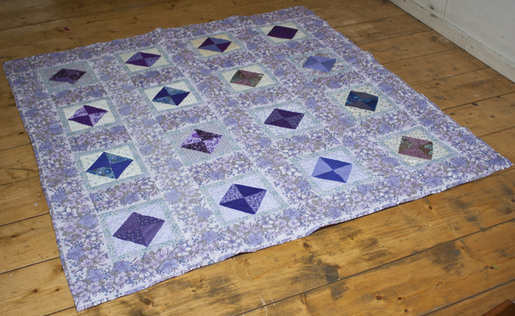 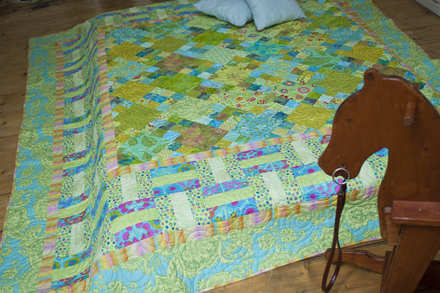 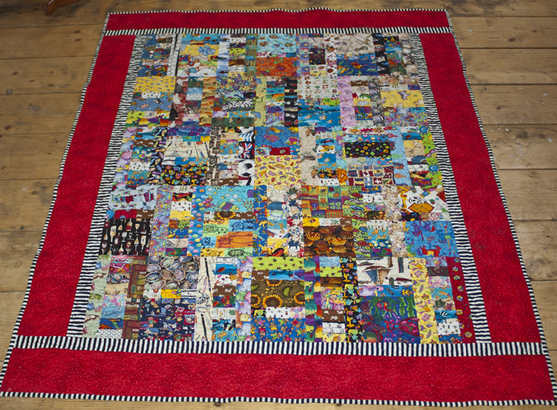 This is my first ever attempt at patchwork and quilting - made for a challenge set by my mum's house group when I was 9. 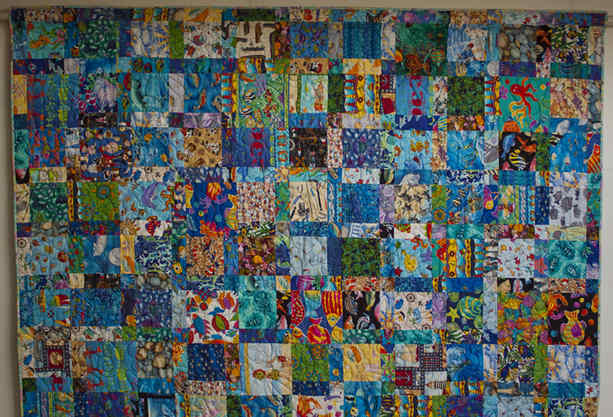 My second wall-hanging was my first attempt at English paper piecing and was the jumping off point for the 6 x 6 foot quilt. 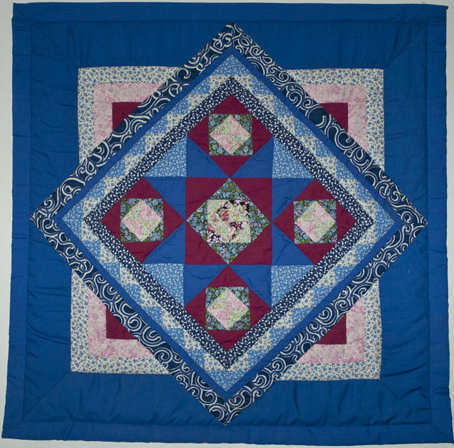 This wall-hanging was moving from English paper pieced squares onto other shapes. 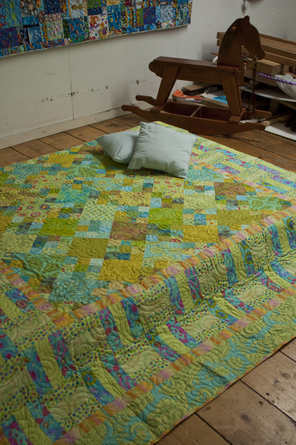 My lovely neighbour Ruth took all these photos and she also took some of WIPs or UFOs which I will post another day.